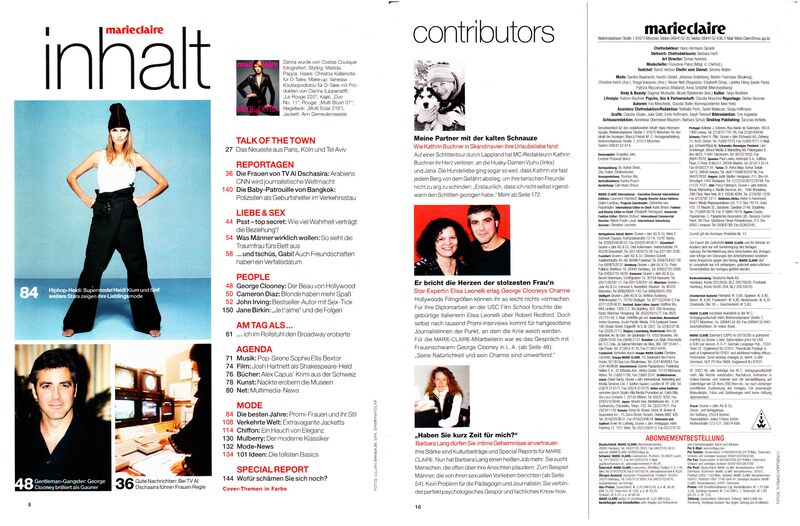 I started writing for the Italian edition of MARIE CLAIRE in 1988. 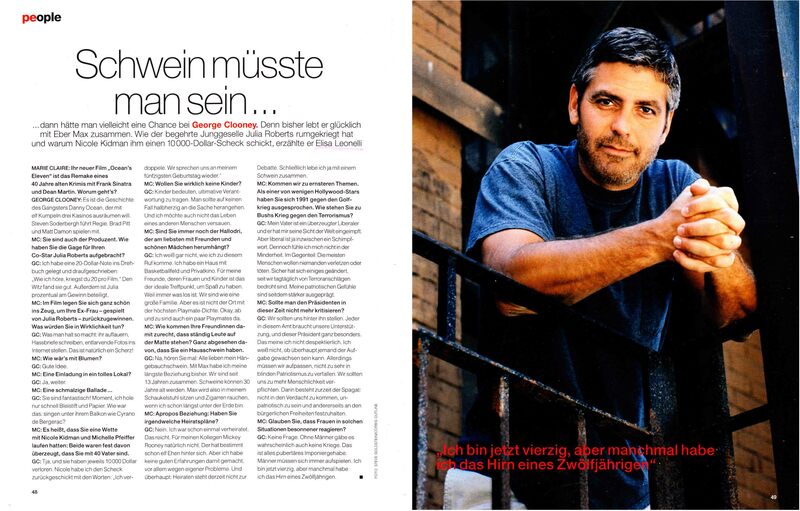 Editors of the same magazine in other countries took notice of my articles about Hollywood stars and asked me to work with them as well. 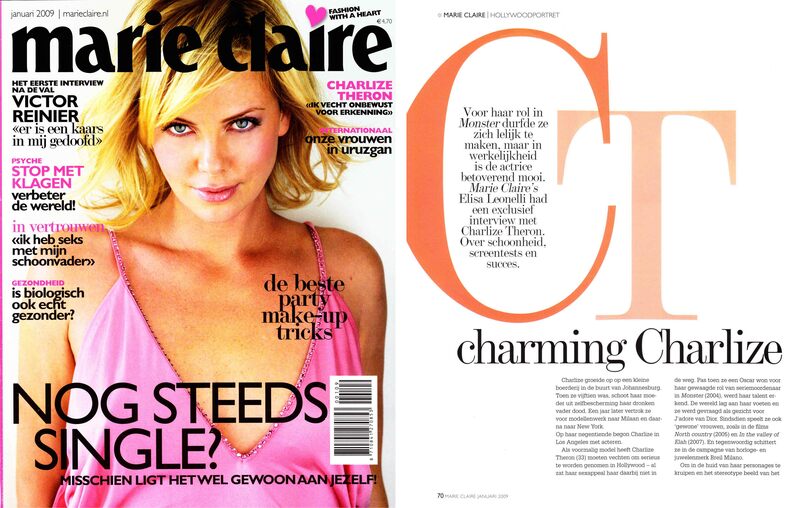 So, through the years, I also wrote for MARIE CLAIRE in Spain, Germany, the Netherland and Russia. Here’s some examples of layouts. 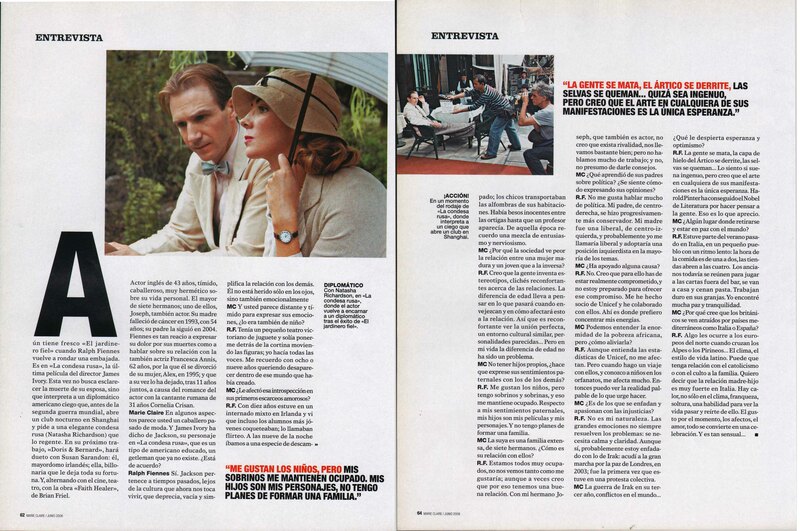 Of course, I prefer it when the actor I interviewed is featured on the cover, rather than unrelated fashion models.